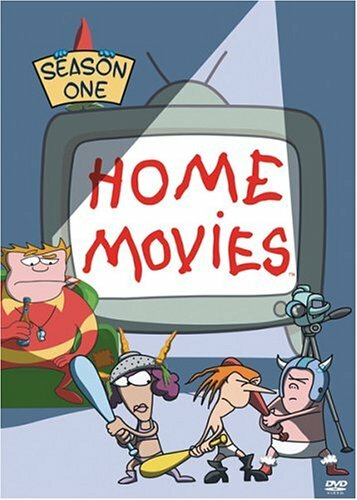 Home Movies (Season One) - [url=http://www.amazon.com/exec/obidos/dt/assoc/tg/aa/xml/assoc/-/B0002YCVY2/hollywoodbitchsl/ref=ac_bb1_]BUY THIS DVD! Home Movies Season One features the first 13 episodes of the favorite series seen on Cartoon Network�s Adult Swim. The irreverent animated comedy hit television series chronicles the life of pint-sized, aspiring filmmaker, Brendon Small. Brendon - a jaded third grader who happens to have the brain of a twenty-something - uses his video camera to cope with the trials of his eight-year-old life. HOW TO WIN? SIMPLE. SEND IN YOUR NAME AND ADDRESS TO contests@efilmcritic.com. Put "HOME MOVIES - THE GOOD KIND" in the subject line and cross your fingers. We will draw names and one of the DVD sets will be yours. Only 1 entry per household.